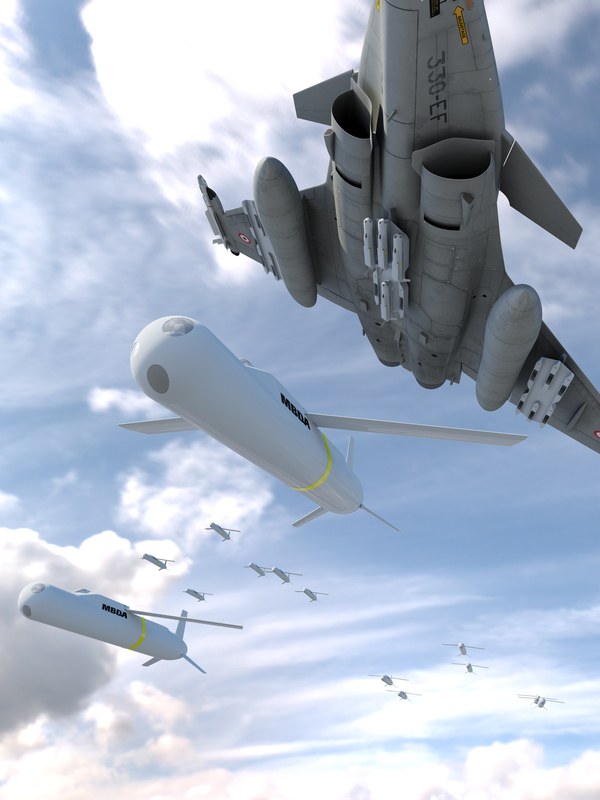 MBDA presents SmartGlider, a new family of air launched guided weapons. Dubai Airshow. MBDA presents SmartGlider, a new family of air launched guided weapons, for the first time outside Europe. The new SmartGlider family of guided weapons is optimised to counter anti-access strategies and other emerging battlespace threats. Designed to complement newest and future fast jets, SmartGlider forms a family of all-up-round glider weapons, with folding wings and a range of over 100 km allowing the combat platform to stay at safe distance from the enemy defences. This new generation of air-to-ground weapons is designed to counter new networked short- and medium-range surface-to-air threats, as well as moving/relocatable targets or hardened fixed targets. 18 SmartGlider Lights can be carried on an aircraft thanks to a Hexabomb Smart Launcher (HSL) capable of managing reactive strikes without affecting the pilot’s workload. As such, the SmartGlider Light will allow first-day-entry by saturating and destroying enemy air defences. SmartGliders will integrate new technologies in their guidance and navigation functions, as well as multi-purpose warheads. Thus, they will be able to reach and destroy the best defended targets, notably enemy air defences, thanks to a mix of optronics and radio frequency sensors that makes them robust against anti-access measures.